Visiting Kvissleby and seeking for a place to swim? Nice choice! Don't neglect to tell us how did it go. 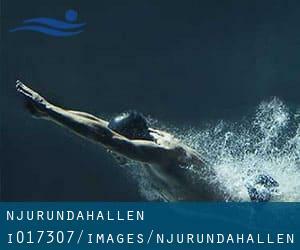 Introducing now Njurundahallen swimming pool, a terrific swimming pool sent by a swimmer like you couple of days ago. Have you visit this pool? Do you perform here? Please, make contact with us if you have knowledge that you consider is gonna be useful and remember from now on you can now promote each and every pool just by sharing this page together with your buddies or adding comments within the Facebook boxes below. Come on and support this pool to be the very first in Kvissleby! Among all the activities supplied by the center, for anybody who is interested in swimming you will get pleasure from 25 meters, 6 lanes, Indoors. If you must contact this Swimming Pool, email address and phone number are both number. Write down the GPS coordinates we've on our file for this Swimming Pool, so you can enter them into your GPS to support you locate the Pool easily. If you believe that any from the data is incorrect, please contact us. Enable us be better day-by-day. Updated on 2019 Among all the activities offered by the center, for anyone who is thinking about swimming you'll get pleasure from 25 meters, 8 lanes, Indoors. If you must make contact with this Swimming Pool, email address and phone number are both number. Updated on 2019 Fabriksgatan 11 , Sundsvall , SWEDEN (Postal Code: 852 34). This sports center delivers 25 meters x 10 meters, 8 lanes, Indoors. For this Pool, only phone number is number here. Updated on 2019 Raholmsvägen 27A , Alno , SWEDEN (Postal Code: 865 32). Swimmers like you reported 25 meters, 6 lanes, Indoors. Phone number and email address are number for this Swimming Pool.